UFS and eMMC demand has been growing rapidly. Are you looking for an efficientprogramming solution? Please watch the video for a brief introduction. 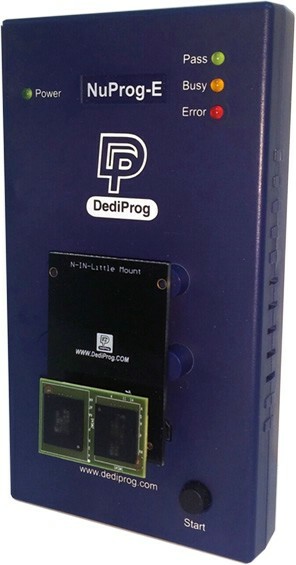 NuProg-E is the world's first UFS and eMMC programmer. It supports Samsung Universal Flash Storage and has adapters for all IC packages incl EMCP as well as SuperSpeed USB 3.0 interface. Or learn more about UFS and How NAND Memory for mobile products is evolving.